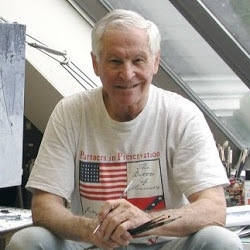 Over 130 original paintings by Mort Künstler were on exhibit at the Nassau County Museum of Art in Roslyn, New York. The exhibition depicted the full scope of America’s history—from Native American life and the Revolutionary War, to the Vietnam War and the Space Age. Among the great events on canvas were the Fall of the Alamo, The Gettysburg Address, Custer’s Last Stand, and the launch of the first space shuttle, Columbia. Visitors to the exhibit who were familiar with Künstler’s Civil War paintings were overwhelmed with the breadth and depth of subject matter covered.